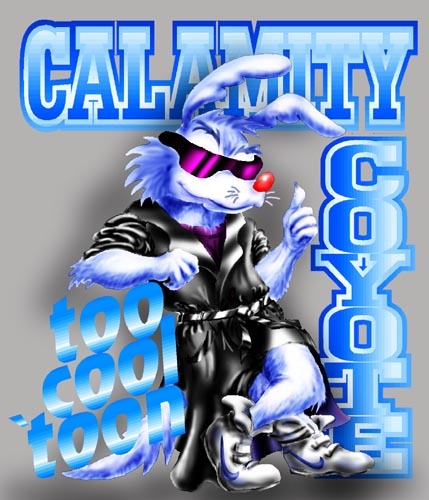 This is my alter-ego, Calamity Coyote! Calamity is just way too cool! =:] He has a black trench coat with lots of bottomless pockets (good for keeping his portable tac-nukes handy), and some Nike Air hightops. Calamity is a kid genius. Oh, and he ROCKS at Charades!! !